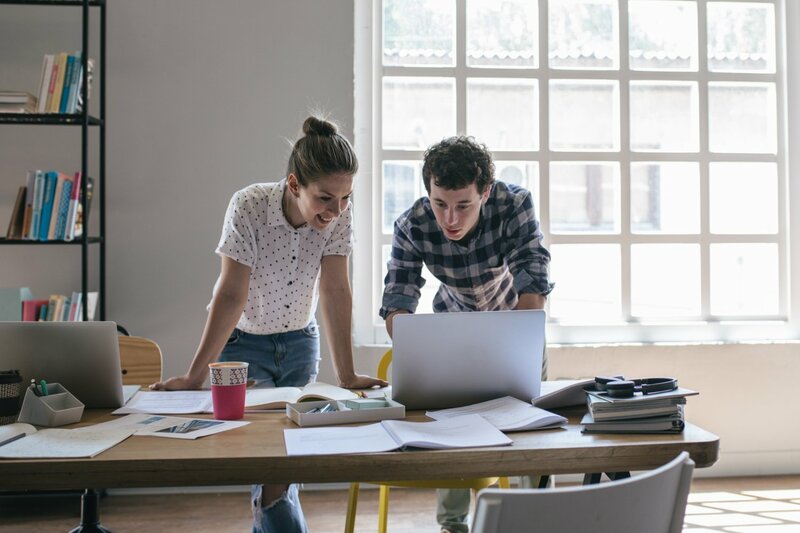 Whether you’re a home-based freelancer, the founder of a fast growing tech startup, or a business owner in a hard-to-insure industry, Hiscox insurance can help. Although best known for servicing the technology, consulting, and marketing industries, Hiscox offers small business insurance to a wide range of businesses. 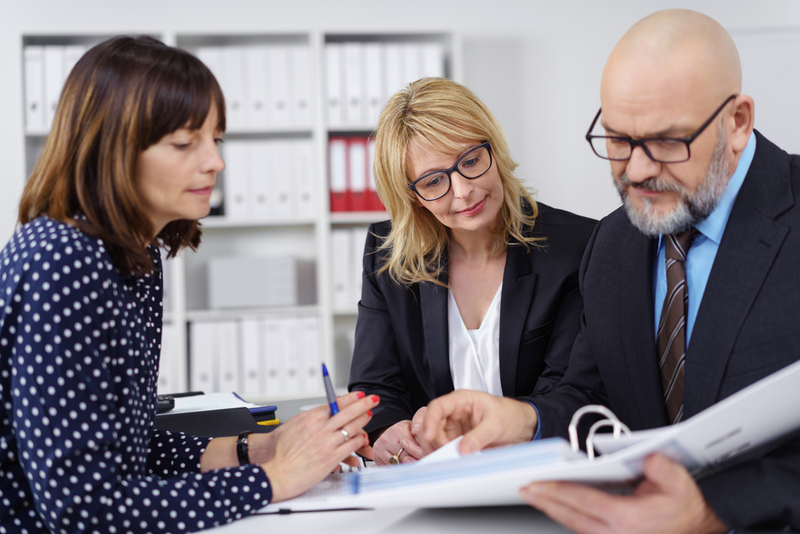 Business insurance is important for every small business owner, and there are several different risks that a business has to insurance against. Whatever type of insurance you’re looking for, it’s likely that Hiscox offers it. Hiscox is licensed to sell business insurance in 49 states (all but Alaska) and the District of Columbia. They offer over a dozen insurance products for small businesses. Learn more about Hiscox, including what products they offer, how much they cost, and best alternatives. Global credit firm AM Best rates the financial strength of insurance companies. The better the grade, the more financially solvent the insurer is and the easier it is for the company to pay claims. The lowest rating is F and the highest is A++. Hiscox has an A rating equivalent to excellent. Who Should Use Hiscox Insurance? Hiscox insurance combines wide product availability and comprehensive coverage with a user-friendly purchase process. The best candidates for Hiscox insurance are small business owners who want comprehensive coverage that’s specialized for their industry. Although Hiscox is a big insurance company, they don’t think of insurance coverage as one-size-fits-all. They customize coverage for different industries. For example, Hiscox automatically adds $200,000 of software copyright coverage to professional liability policies for IT/technology consultants. In another example, they offer special general liability coverage for media companies that covers content in any form, such as podcasts, blogs, and text messages. In addition, Hiscox makes shopping for insurance an easy process. You can buy insurance online in real-time or through an agent. Coverage is available in every state but Alaska, and you have the option to pay your premium in monthly installments without an additional fee. They even offer a 14-day money back guarantee, which is not something that most insurance companies can compete with. Online claims filing is available around the clock, and you can rest assured knowing that you’re covered worldwide, wherever business takes you. Hiscox offers more than a dozen different business insurance products. They work with a wide range of industries. 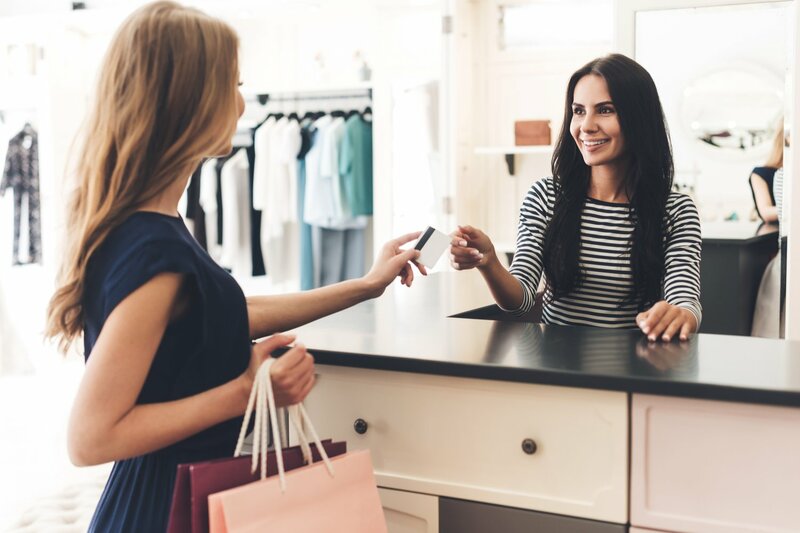 They even offer umbrella insurance, which goes above and beyond ordinary coverage levels and surplus lines insurance for businesses that are hard to insure. Many small businesses get just one business insurance policy—general liability insurance. You might need to show proof of general liability insurance before entering into a contract or getting a business loan. General liability insurance is basic business insurance that covers bodily injury, property injury, and personal injury claims against your business. Hiscox includes coverage for electronic data liability in their general liability policy, something that many insurers charge for as optional coverage. Hiscox general liability insurance also extends to full-time employees, as well as temporary and seasonal employees. If someone sues your business, Hiscox won’t just cover the defense costs, like most other insurers will. They will also pay up to $250 per day for the time the case takes away from your primary business responsibilities, and they will pay you interest on any damages awarded in court. Businesses with a brick and mortar location or lots of equipment or other assets should get commercial property insurance. This insurance guards your property against loss, theft, vandalism, and certain types of accidental damage. Hiscox commercial property insurance provides great basic coverage—$10,000 of equipment coverage, $10,000 for portable property, $2,500 for personal effects, $10,000 for electronic data loss, and one year’s worth of coverage for loss of business income if damage to your property prevents you from operating your company. Many insurers require completely separate policies for portable equipment and business interruption. Hiscox commercial property policies are based on replacement cost, which means they’ll pay you to replace damaged equipment without deducting for depreciation. A business owner’s policy (BOP) is a package policy that combines general liability and commercial property insurance. A BOP is less expensive than separately purchasing each type of insurance. You can customize your Hiscox BOP with additional add-ons that make sense for your business, such as commercial auto insurance or commercial crime insurance. Small businesses with employees are often legally required to purchase workers’ compensation insurance. Workers’ comp coverage insures against the cost of paying for medical expenses of injured workers. Workers’ comp is available through private insurers as well state-run insurance exchanges in many states. Private insurers like Hiscox are usually less expensive and faster at handling claims. Professional liability insurance is one of Hiscox insurance’s most popular products because the company got their start helping IT professionals, consultants, and service providers. Professional liability insurance protects against negligence claims arising from professional services. Hiscox professional liability policies shield your business from mistakes that employees, temporary staff, and independent contractors commit—anyone representing your brand. This is broader coverage than many other insurers provide. Hiscox also provides worldwide coverage, so if a team member is sued for services provided overseas, your Hiscox policy would still protect you. If your small business owns a company vehicle or if you or your team regularly drive for business, then you should consider buying commercial auto insurance. Hired and non-owned auto liability coverage is also available through Hiscox, which would cover rental cars and the use of personal vehicles by your employees. You have the option to buy commercial auto insurance on its own or to bundle it with your general liability policy or BOP. Cyber security insurance protects what is the most important asset for many businesses—their data. If you store sensitive data or accept credit card payments, this should be among your top insurance priorities. Hiscox insurance will cover the costs associated with your data breach response and the costs to recover lost data. 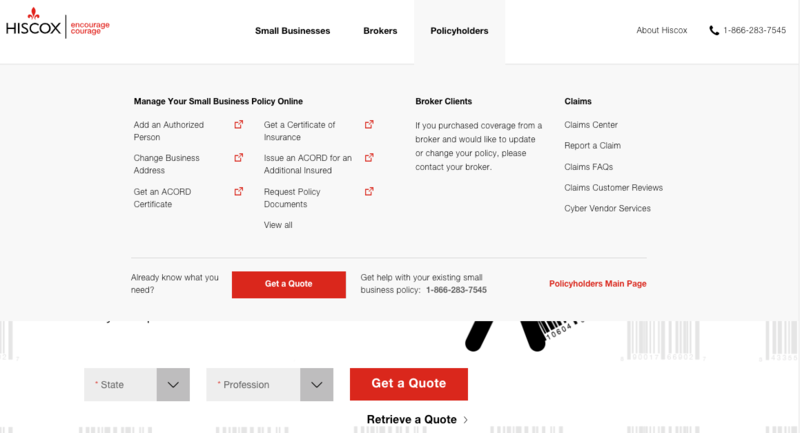 Hiscox provides cyber security insurance in partnership with CyberPolicy.com. Dozens of insurance providers provide small business insurance. These include large insurance companies like Hiscox, smaller boutique agencies, and insurance marketplaces that let you compare quotes from different insurers. Before deciding on Hiscox for your insurance needs, it’s a good idea to evaluate their pros and cons. Limited online capacity—not all insurance products are available for online quote and purchase. For some products, Hiscox has teamed up with CoverHound and other marketplaces to provide an online quote, so you don’t get end-to-end service on the Hiscox website. As a large insurance company, Hiscox offers medium rates on business insurance. Due to economies of scale, Hiscox can charge slightly lower rates to all customers, compared to boutique insurance agencies. However, as a large insurer, Hiscox also has more overhead than smaller firms. Unlike most insurance companies, Hiscox is actually quite transparent with regards to cost. They even publish sample quotes to give you an idea of price points on different insurance offerings. The only way to get a more exact estimate of price is to request a quote from Hiscox. You can get a free online quote after inputting some information about your business. Insurance rates vary based on a lot of factors, such as the size of your business, the number of business locations, your claims history, and the risk you’re trying to insure. When you get small business insurance, of course you hope never to have to file a claim. However, if you find that you need to file a claim with Hiscox, the process is pretty quick and straightforward. Hiscox’s online claims center is open 24/7. You can also initiate a claim through email, phone, or mail. If a broker or agent helped you buy your policy, they can also file a claim on your behalf. 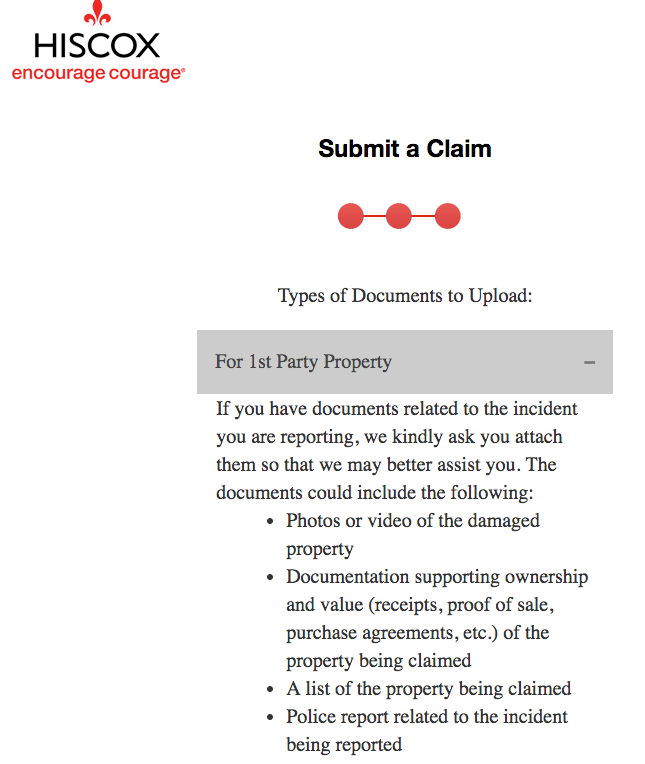 You should be ready to provide some images of any damage to your property or other documentation of the claim. Once you submit your claim, Hiscox will send you a reference number within one business day. On the following business day, a Hiscox claims professional will be assigned to your case, and will contact you to explain next steps and answer any questions. Over the following few days, the claims professional will work with you to gather additional information and validate coverage. A final decision should be made within 10 to 20 business days after first filing your claim. The best way to get high quality insurance coverage at a low cost is to shop around from several different insurance providers. The Hartford is a big insurance company similar to Hiscox. They are A+ rated by A.M. Best and provide a wide range of insurance products for small business owners. Hiscox has especially strong offerings for commercial auto insurance, marine insurance, and workers’ compensation insurance. They also tout their risk engineering services, which help business identify risk areas and resolve them, reducing the incidence of claims. Unfortunately, The Hartford is not as strong as Hiscox in terms of technological capacity. Some industries can get an online quote on The Hartford’s website, but you can’t purchase your policy online. You must go through an independent insurance agent or broker. They also offer insurance in fewer states than Hiscox. 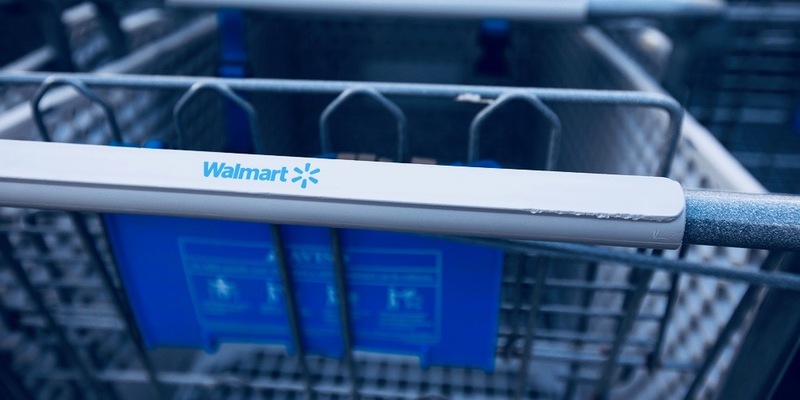 An insurance marketplace like CoverWallet makes it very easy to shop around for business insurance. CoverWallet is different from an insurance company like Hiscox. Unlike Hiscox, CoverWallet doesn’t sell any insurance policies directly. Rather, they partner with insurance companies like Hiscox, letting business owners compare quotes and coverage options. Input your information into CoverWallet’s online questionnaire, and you’ll be able to see the insurance companies that are offering you the best and least expensive insurance. The only limitation is that CoverWallet doesn’t provide online quotes for all types of policies. For instance, for cyber insurance, you’ll need to contact CoverWallet for quotes. Still, there’s no additional fee that you’ll pay for the convenience of CoverWallet. 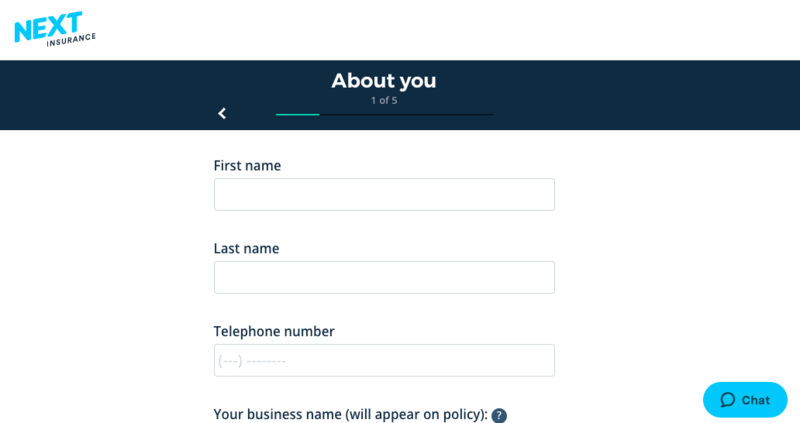 Next Insurance aims to be, like their name suggests, next generation insurance. Although you can get an online quote from Hiscox, Next places even more emphasis on technology. 90% of Next’s insurance policies are sold online, with no help from an agent or broker. You can also pay your premiums, add additional insureds, and get proof of insurance online. Since everything is done online, Next’s policies are some of the most affordable on the market. According to the company, 80% of the time they offer the most affordable general liability policy on the market. Next underwrites, binds, and services policies instantly online with their proprietary technology, and doesn’t charge the customer fees of any kind. They sell only A rated policies. The only downside is that Next is only available in some states and only provides three types of insurance—general liability, professional liability, and commercial auto insurance. Hiscox is definitely an insurance company that knows what they’re doing. They launched in 1901 and have been helping businesses obtain insurance for decades. Fortunately, Hiscox has also kept up with changes in the insurance industry and their customer base. Today’s small business owners value convenience and quality, and Hiscox prioritizes both. You can obtain a free quote from Hiscox online, purchase your policy online, and manage your policy online. If you prefer a more personalized approach, Hiscox’s independent brokers and agents can also help. And if you find that you need to file a claim, the process is usually completed in under one month. Getting Hiscox insurance gives you some peace of mind so you can focus on growing your business.